2.Mix the corn syrup, eggs, melted butter, brown sugar, bourbon and flour in a medium bowl until combined. 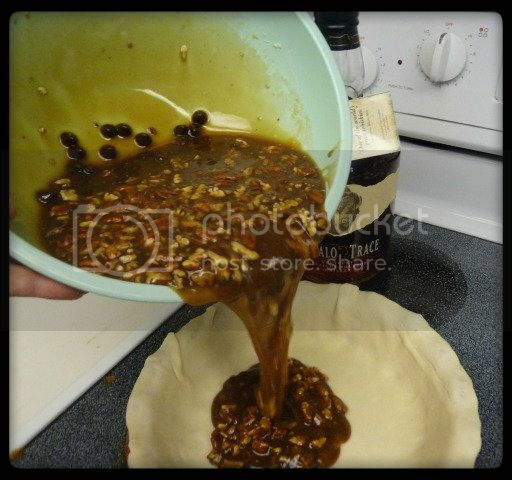 3.Add the chocolate and pecans and mix well. 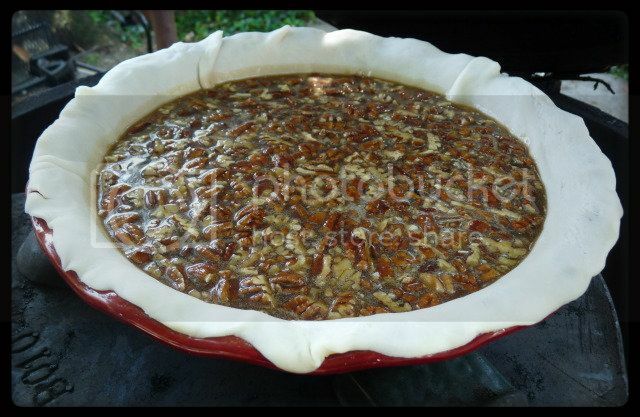 7.Remove pie and allow to cool completely. If not eating immediately, the pie can be refrigerated. WOW, Griffin. That looks fantastic. 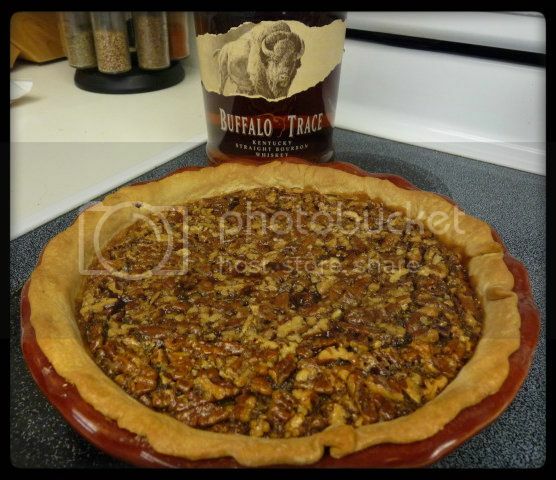 I love pecan pie and chocolate and bourbon. Never thought about mixing it altogether. OK, gotta go to the store. Is that a deep dish pie plate or a regular? As far as I know, it was just a regular pie plate. Mrs. G wasn't home and I was digging around and found an Emile Henry pie plate that I know she has had before I met her. Never been used. Still had the tags on it and all. It's an earthen ware pie plate. Not sure if that makes any difference at all over glass or those tin pie plates. Thanks Griffin. I'll use a regular. If I have extra, I'll make tarts.